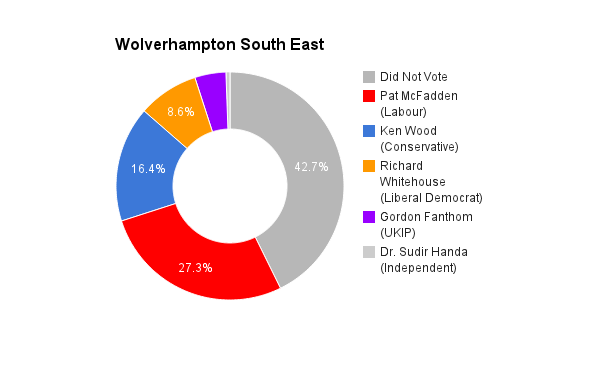 Wolverhampton South East covers the area indicated by its name in the West Midlands. The seat was created in 1974, and has elected a Labour candidate since. The current member of parliament is the Labour Party’s Pat Mcfadden who was elected in 2005.